Without a Form existing on the account, based on the way the current integration works, it will throw an error when you attempt the official step 1. 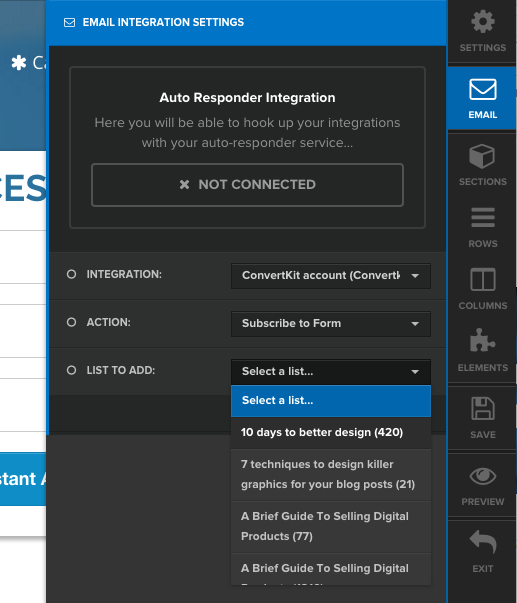 First inside ClickFunnels go to Settings → Integrations. Then click the "+ Add New Integration" button. 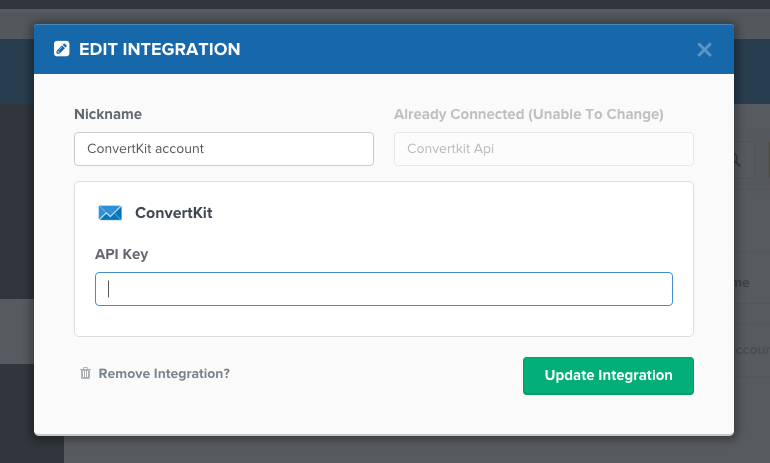 Select "ConvertKit API" from the integration list and then give your integration a nickname. 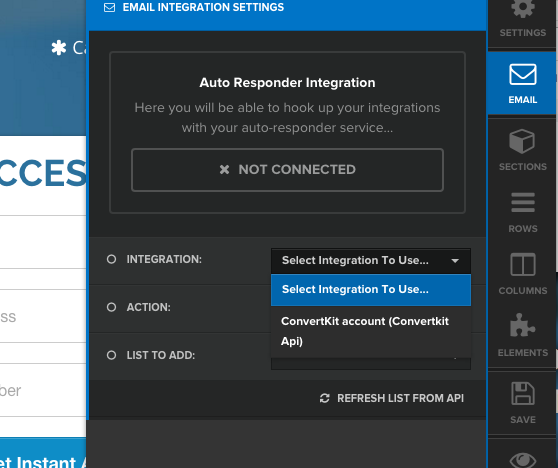 After saving the integration go back and edit it to see the API Key option. Copy your API key in your Account page and paste it into that field. 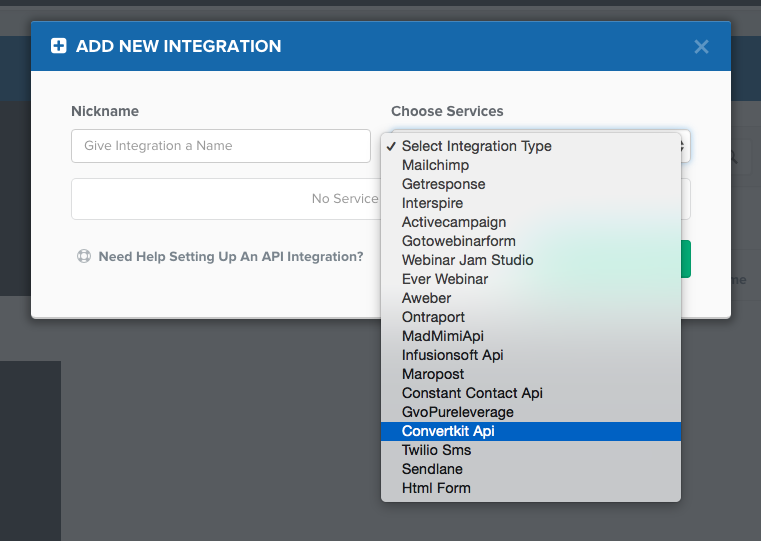 Now with that integration setup you can select it from your integrations list when editing a page in a funnel. Subscribe to a Form is the only ACTION currently available. But you can select which Form you want to add them to. This works on email opt-in Forms as well as sales pages when someone is making a purchase. That's it! Now all new sign-ups coming in on that ClickFunnels page with be sent to your ConvertKit account!